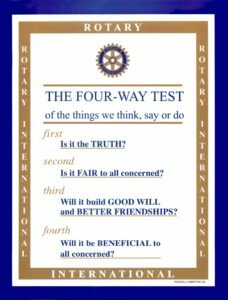 The Four-Way Test of the things we think, say or do is a code of conduct used by Rotarians worldwide as a evaluator for relationships. The test applies to any aspect of life. It was written by Herbert J. Taylor from Chicago, Illinois, and later adopted by Rotary International, the global organization of Rotary service clubs. I called it “The Four-Way Test” of the things we think, say or do. In the 1940s, Taylor was an international director of Rotary. He offered the Four Way Test to the organization, and it was adopted. The twenty-four test remains an integral part of the Rotary character throughout the world. 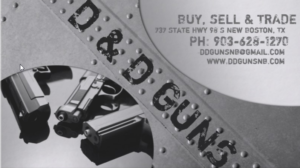 The test has been publicized worldwide and used in many languages to encourage good personal and business practices. In the 1940s, Taylor gave Rotary International the right to use the test, and in 1954, he gave them the copyright.